OLD PARKED CARS. : 1989 Chrysler TC By Maserati. 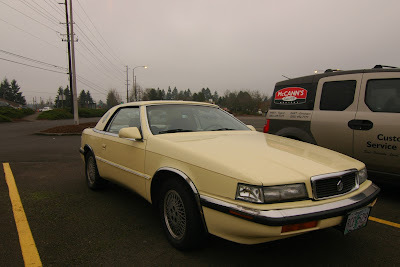 1989 Chrysler TC By Maserati. I've only seen these in grandma yellow. Wikipedia sez it was available in yellow, red or cabernet. Which means...yellow, red or red. Go figure. bah. 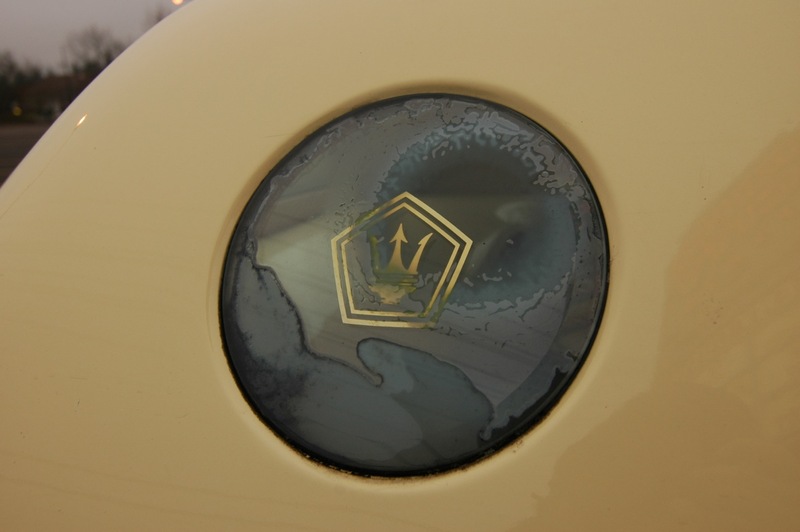 i know ben takes delight in documenting that steamed-up delaminating porthole on every one of these he finds, but i really can't get psyched about photographing one of these as an opc. the fact that it's a maserati parked at Grocery Outlet is funny, though. The Yellow Submarine. What were they thinking? 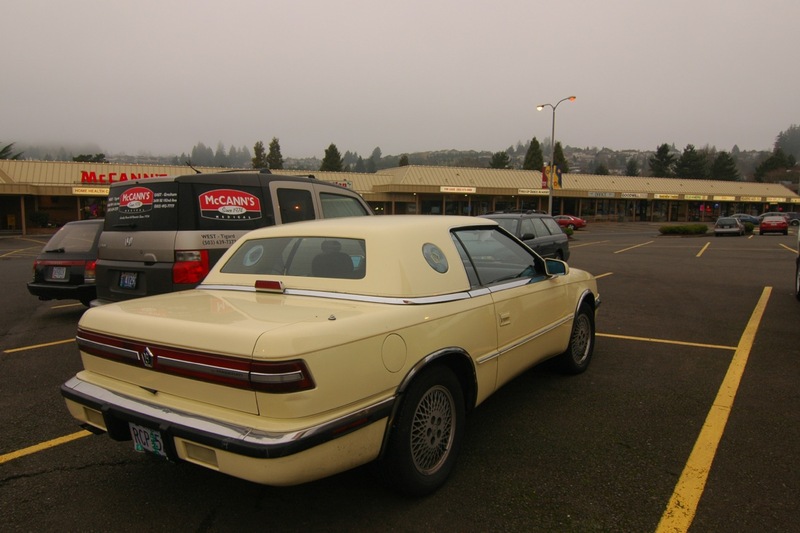 Ben, was this car in Tigard (or Tualtin) off of HW-99? I was JUST over there yesterday, in my 1982 Honda Accord. It looks exactly like the one I saw over there yesterday. First time commenter, long time lurker. Thanks guys! Tony, that's not steam, but I do love how every single one of these portholes is wearing differently (even from one side of the car to the other). This one being my favorite. It's an art-piece all by itself. @Mike Kincaid, exactly right! Our Gramma lives just around the corner from here. 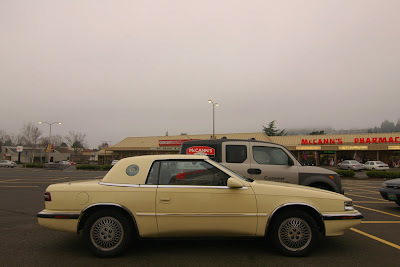 I'd never seen it before, but I really like the idea of a Groce Out manager driving one of these bad boys. These justify such a wonderful assortment of tags.The Meshies tag is gettin great. For whatever reason, I've always liked these cars. A silly collaboration between a Chrysler LeBaron and an occasional Maserati engine.